What better way to start the new year than to share the news that the Porsche 911 Turbo S is the fastest 0 to 60 mph car in the world, according to Motor Trend. Read the article here. And keep reading to learn about our upcoming events. Many of us may have stored our cars for the season but there are still plenty of opportunities to get together and talk about cars or topics of the day. Join us for coffee in January and chili in February. Bring a friend or your affiliate or family member. Committee chairs are working on additional events to fill out the 2013 calendar. Check the website often to see what's new. At its December 2012 meeting, the election results were announced and the board elected officers for the coming year. You can find the names and contact information for your board and the committee chairs online here. Contact any board member or committee chair with questions or ideas to maximize your membership. Jan. 3 - Board meeting. Board will continue to meet at the Wisconsin Club Country Club, 62nd and W. Good Hope Rd., Milwaukee. Meeting starts at 6:30 p.m.
Jan. 19 - Meet for Coffee. This is our monthly gathering. Show up. Order coffee or something to eat. In January we will be at Spring Gardens, 20th and Layton, on Milwaukee's far south side. Easy I-94 access. Feb. 2 - Carrera Chili. You can attend with or without a chili. Those who have a great chili recipe are encouraged to cook up a batch and bring it for the friendly competition. Bring your own crock pot or slow cooker along with a spoon to stir and a ladle to serve it with. The region kicks in with salad, bread and other goodies to round out the meal, including beverages. RSVP by Jan. 19. You can pay at the door but please let us know if you are coming. Geoff and Stacey Wilde are our hosts this year. Their home is easy to find in the northern part of Racine. Details here. Feb. 7 - Board meeting. The board meets at 6:30 p.m., for approximately one hour. Join us. Wisconsin Club Country Club, N. 62nd and W. Good Hope Rd. Feb. 16 - Saturday Meet for Coffee. Updated Jan. 26 -- Quarry Cafe in Lannon will be our meeting place. Main Street (Highway 74) in Lannon, Wis.
Aug. 16 - Driver education at Road America. Save the date on your calendar for our region's day at Road America. Novices can learn how to handle their car on the track with the help of a driving instructor while intermediate and experienced drivers can continue to hone their skills as they navigate one of the best road courses in North America. Aug. 24 - Club Day at the Milwaukee Masterpiece, a car show on Milwaukee's lakefront. 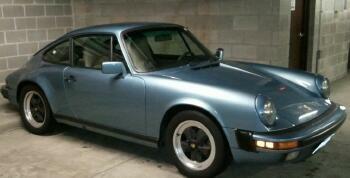 The Milwaukee Region welcomes Scott Huibregtse, the new owner of an Iris blue 1986 original Carrera. The car – he is the second owner – is all stock with 83k miles. Scott’s wife Dawn saw an ad in newspaper and “knew I’d always wanted this vintage Porsche,” he said. When asked if this was his first Porsche, his answer was: “This is my first of possibly many more.” Many of us can relate to that. 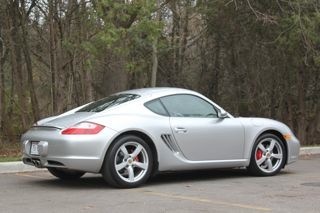 John Janty drives an arctic silver 2008 Cayman S which had 22000 miles when he purchased it in Milwaukee on Nov. 7, 2012. “After driving it to Austin, Texas, for the Formula 1 U.S. Grand Prix, it now is going into winter storage with 25000 miles,” he said. It currently has no modifications, but this spring he hopes to put on 19-inch wheels. He found the car at International Porsche in Waukesha. “They were selling it for the first owner who had recently moved out of the country,” he said. “This is my first Porsche, and its purchase was prompted by my life-long love of the marque and the recent sale of my 1962 E-Type Jaguar,” John said. John is a retired mathematics educator, who is currently working part-time at the UW Athletic Department in Madison in addition to serving as chair for the Wisconsin Mathematics Education Foundation. Contributions are welcome, he noted. 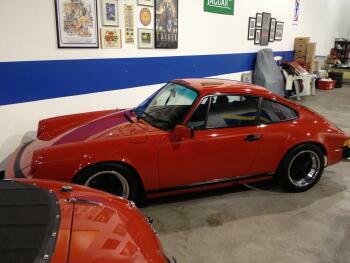 Christian Mitchell joined the region with his 1984 911 with only 33k miles. He said it is a rare sunroof-delete coupe that he purchased from Memory Motorsports in Germantown “after looking at it online for a long time.” It’s his first Porsche. Christian is responsible for corporate strategy at Northwestern Mutual. He plans to participate in social and drivers ed events. Charles Cook, of Waukesha, and his family member, Susan Fiegel, with their 2006 Boxster. The Holiday Party in early December was a wonderful way to start the holiday season. Read the details here and check out some photos of the many lucky door prize winners. December meet for coffee. Various topics were covered as a group gathered at Panera Bread in Pewaukee. Check out Donna Daufenbach's report and a few photos here. Porsche avaiation? 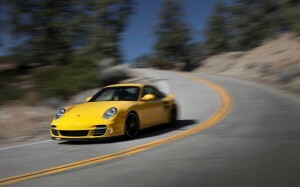 Region member Art Cunningham submitted this article that captures Porsche's venture into aviation. Read the article here. Congratulations to these members who are observing a PCA membership anniversary in January. Check out the region's classifieds online here. Thanks to Ron Pace for forwarding this link to a piece on the Lowenbrau Special 962. I was privileged to sit in the cockpit of this car when it was at Road America for a stop on the IMSA race circuit. I was the PR manager at the time for the Lowenbrau brand. Miller Brewing had a licensing agreement with LowenbrauMunich to brew and market the beer in the U.S. Lucky me, getting to meet Al Holbert and Derek Bell. -- Bev Jurkowski. Check out the Sportscar Digest article about the famous Lowenbrau racing team and the 962 here. Concours on the Green 2012 - This video recaps the final Cars and Coffee event in Lake Mills with the Cars on the Green concours d'elegance in early October. Watch here. Blog: Preserving Porsches for the long run. Learn about the history of one Porsche that has lived a long and productive life and is still going strong. Check out John Straub's blog. Tour Europe via video. Seven days with eight Porsches. Is this the ultimate vacation or what? Check it out here. Code of the Curve...Caymans gather at Vegas Speedway. Check out the blog site. Scroll through to find videos, photos. Flying Lizards in-car camera at Road Atlanta. Sound up for this one. The Flying Lizards race team lets us in on the action. Watch the video here. Here's the Porsche Racing team at Téloché Workshop, south of Mulsanne. 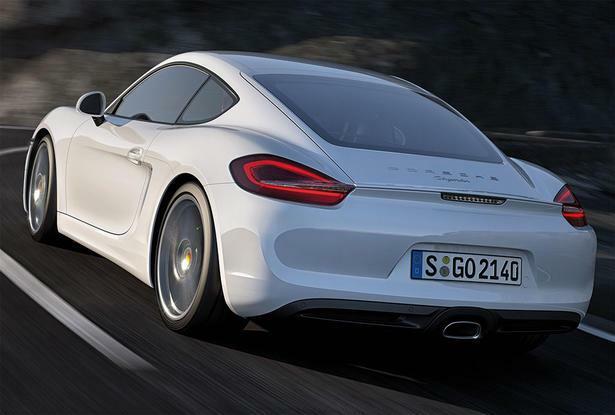 Have you seen the new Cayman commercial? Watch it here.